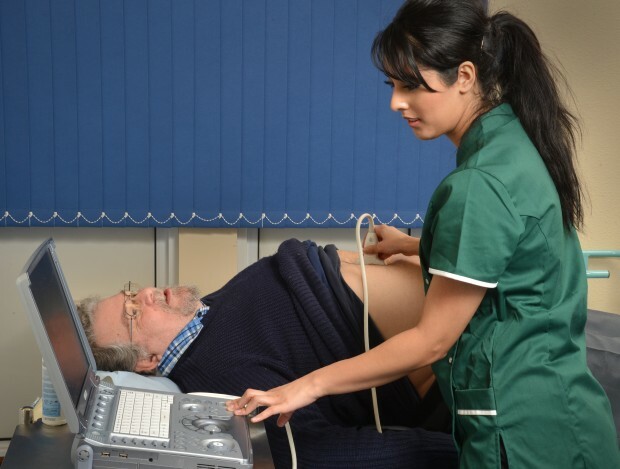 The NHS Abdominal Aortic Aneurysm (AAA) Screening Programme aims to reduce AAA-related mortality among men aged 65 and over by detecting AAAs early with an ultrasound test. The scan itself is quick, painless and non-invasive and the results are provided straight away. To ensure a safe and effective service, it is imperative frontline staff are trained to the highest standard so they are competent in performing the scans. They must maintain a high level of competence through ongoing development and regular monitoring of their skills and the ultrasound images they take. The newly updated internal quality assurance (IQA) framework supports programmes in monitoring the quality of scans locally. We have updated the framework documentation to help programmes monitor the quality and performance of screening technicians. It replaces the existing framework from 1 October 2016 onwards. There is also a screening technician IQA record template that enables local programmes to produce a report for all their technicians. Local programmes can continue to use locally developed forms provided they contain the information in the national forms as a minimum. This ensures staff maintain competence in scanning to ensure ongoing quality within the AAA screening programme. The 200 scans should be spread across a 12-month period. Local programmes can report the number of scans for each screening technician using the IQA record template. If a screening technician does not complete a minimum of 200 scans per annum then all images should be assessed for quality assurance by the local programme’s clinical skills trainer (CST)/QA lead. Accessing images for IQA review has been streamlined following improvements in image storage within the national SMaRT IT system. Programmes will need to select a minimum of 8 scans to be reviewed every month on the SMaRT system. All abnormal scans following initial screening appointments are sent for image review by the CST/QA lead. These should be assessed within 30 days. Programmes should attempt to review abnormal images within 7 days. Each screening technician should be observed in clinic once every 4 months. A minimum of 5 patients should be observed. This ensures screening technicians maintain clinical competence. It also provides ongoing feedback and development in a clinical setting. Please note only a trained CST or QA lead can assess images for IQA and only a CST can perform the clinical observations of screening technicians. Nurses undertaking screening in the national programme should complete the same initial training and IQA requirements as screening technicians, unless they possess an appropriate postgraduate degree in medical ultrasound. We have also updated the clinical guidance and scope of practice document which provides additional information on incidental findings within the AAA screening programme. Any queries regarding the updated IQA requirements can be sent to the PHE screening helpdesk at PHE.screeninghelpdesk@nhs.net.